Frozen embryo transfer versus fresh embryo transfer: What’s riskier? RESTON, VIRGINIA–Large for gestational age babies and congenital heart defects (CHD) are just two of several risks needing further examination in the emerging field of assisted reproductive technology, according to the editors of a special issue on in-vitro fertilization in Birth Defects Research. The special issue just published by the Teratology Society with John Wiley & Sons, focuses on continued research regarding several aspects of the in-vitro fertilization (IVF) procedure that clearly call for more answers surrounding safety outcomes for the resulting children. The scientific journal issue released today (see the Overview, doi: 10.1002/bdr2.1227) includes "Neonatal outcomes following fresh as compared to frozen/thawed embryo transfer in in vitro fertilization (DOI: 10.1002/bdr2.1216)," research co-authored by Kristin Van Heertum, MD, and Rachel Weinerman, MD, both practicing physicians who routinely deal with IVF issues at University Hospitals Cleveland Medical Center. Dr. Weinerman is also a guest editor of the issue and concludes that "as technologies advance and improve, there are more and more indications for frozen embryo transfer in clinical use" and that embryo freezing may even play a role in preventing negative outcomes by allowing time for the uterine environment to normalize. Another review (DOI: 10.1002/bdr2.1219) included in the special issue examines frozen embryo transfer and the risk for large for gestational age babies. The research provides potential mechanisms for this association. "It has been noted that implantation of frozen embryos results in larger babies," explained Michiko Watanabe, PhD, co-editor of the special Birth Defects Research issue and professor of pediatrics at Case Western Reserve University School of Medicine. "But whether having a larger baby has negative long-term consequences has not yet been determined." Other topics covered in the issue include the expertise of Marcos Meseguer, MD, one of the pioneers in the field of time-lapse microscopy of early embryos to assess quality (DOI: 10.1002/bdr2.1226), and "The impact of contemporary preimplantation genetic screening and diagnosis in the prevention of aneuploidy (DOI: 10.1002/bdr2.1220)," co-authored by Shelby A. Neal, MD, and Marie D. Werner, MD with Reproductive Medicine Associates of New Jersey. 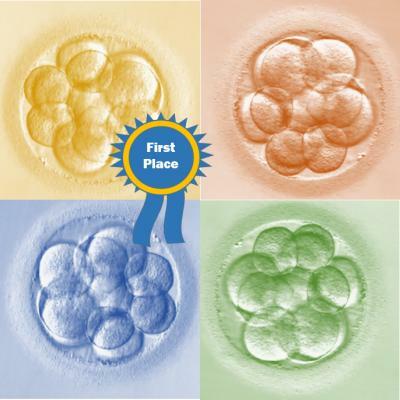 Time lapse microscopy and other testing might allow selection of the one best embryo for implantation, thus avoiding twinning and other multiple births that increase risks for mothers and fetuses. The Teratology Society, an international professional group of scientists hailed as the premier source for cutting-edge research and authoritative information related to birth defects and developmentally mediated disorders, publishes Birth Defects Research with John Wiley & Sons. The Teratology Society is made up of more than 700 members worldwide specializing in a variety of disciplines related to birth defects research, including developmental biology and toxicology, reproduction and endocrinology, epidemiology, cell and molecular biology, nutritional biochemistry, and genetics as well as the clinical disciplines of prenatal medicine, pediatrics, obstetrics, neonatology, medical genetics, and teratogen risk counseling. Scientists interested in membership or attending the Teratology Society's Annual Meeting in Clearwater, FL June 23 – 27, 2018 are encouraged to visit http://www.teratology.org.